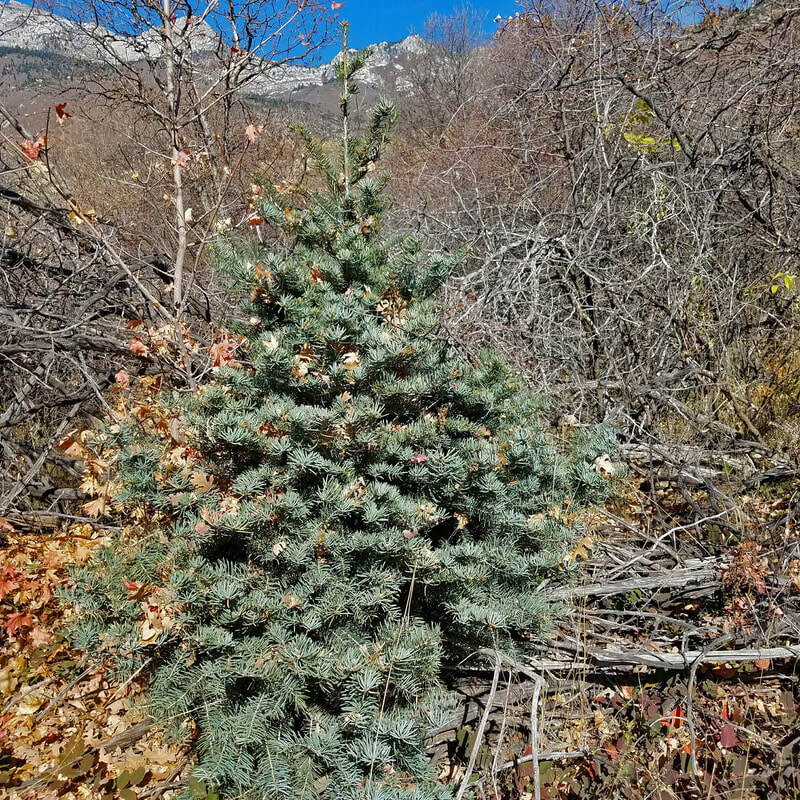 Finding Firs in the fall! Lambert park is 255 acres of open space in Alpine, Utah. 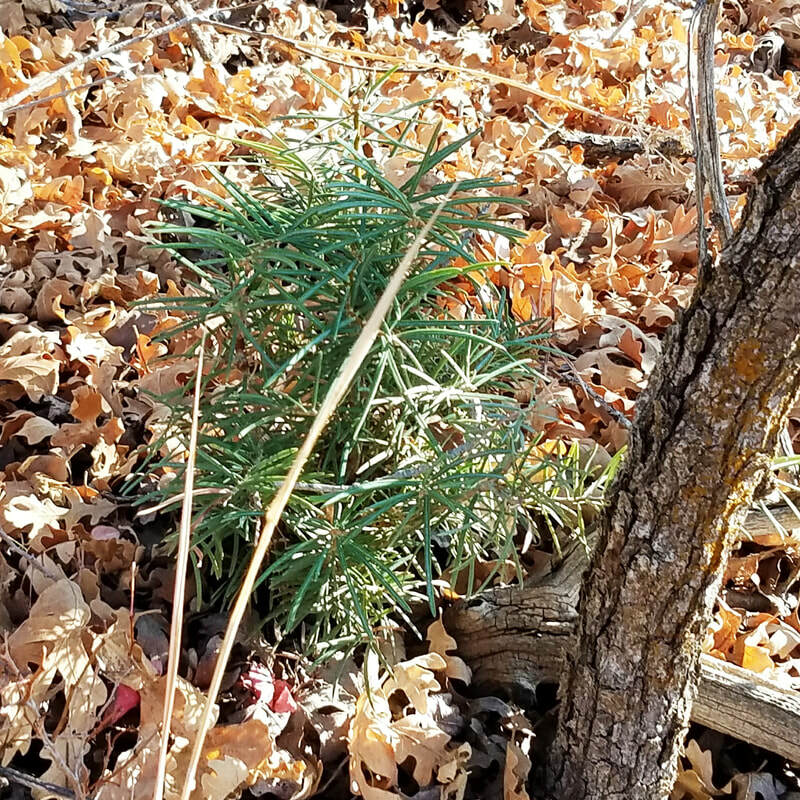 In addition to scrub oak, juniper, willow, chokecherry and wild cherry trees, the park also has a number of white fir trees! It is hard to find them in the summer, because they are all surrounded by scrub oaks, which almost block them from view. Can you spot two in the picture above? 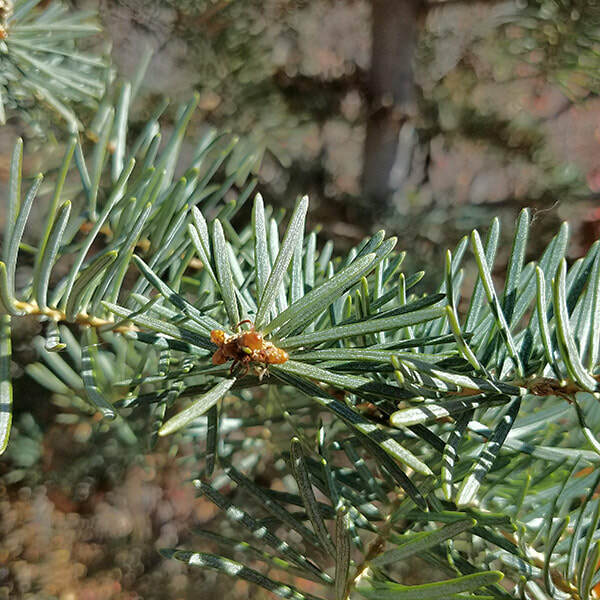 Rocky Mountain White Fir (abies concolor), is native to Utah, and grows in altitudes between 3000 and 11,200 feet. It's needles are flat and blunt-tipped, spreading in two rows and curving upward on twigs. The needles have a bluish cast and have two white lines on the underside. 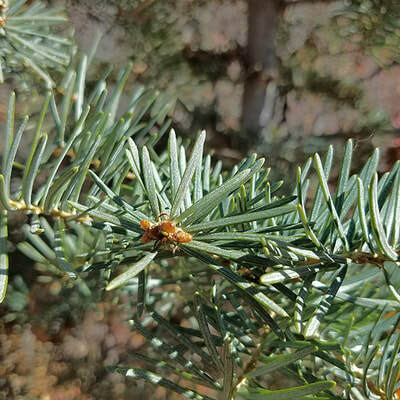 If the needles grow in groups of two or more, you're looking at a pine tree! At one time there were many white firs in Lambert park, especially along the Grove Creek. 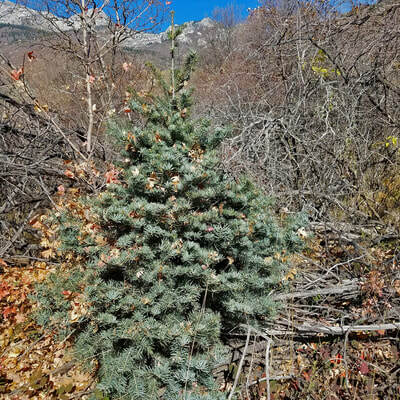 Residents felt no compunction about cutting them down for Christmas trees. After a large fire in the 1960's the trees disappeared. Over the last decade they have slowly started to recover. They grow best in grassy areas that hold a little water. Many of the new trees are along Spring, Middle Spring or Rodeo Down trails. They are so small you might miss them. A very astute person could find dozens of white firs trees in the area south of the rodeo ground. 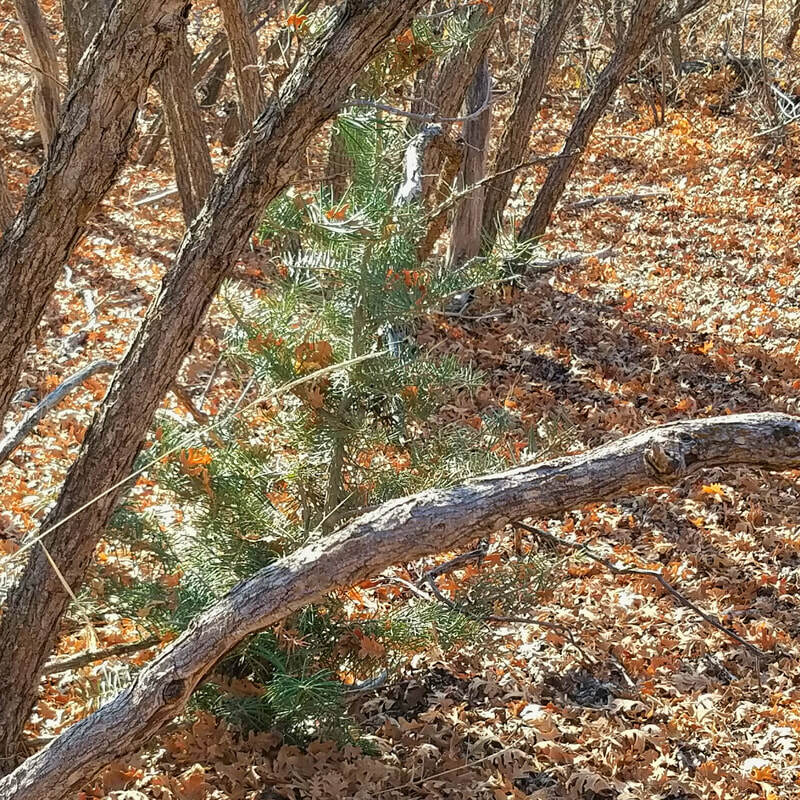 You can also easily find a small stand of white firs walking up the path from the Bowery to the Rodeo Grounds and keep looking to your left as you go uphill!